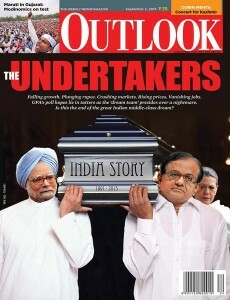 Key Coalgate files are missing, Manmohan Singh’s image is at its nadir. Who cares if it’s a self-goal or sabotage...or just bad weather? It’s a crisis alright...but it’s not a blowout. Professional doomsaying is booming too. Our crashing currency has brought all sorts of doomsayers out from the woodwork. Financial analyst Deepak Shenoy skewers a few of them. Modi’s plans for industrial development run up against opposition from farmers. Is it Modi’s Singur moment? Can Spring Be So Far Behind? Tunda has been delivered, but what explains the Gulf’s cooperation? Francisco Luis Gomes, Goan polymath, was one of our earliest patriots. He can’t lie forgotten. As movies change, so does the music. New voices, new styles, Bollywood’s sound palette is abuzz.